In overall, DevOps as a Service is a kind of philosophy in application development. DevOps as a Service (DaaS) is a delivery model for a set of tools that facilitates collaboration between an organization’s software development team and the operations team. 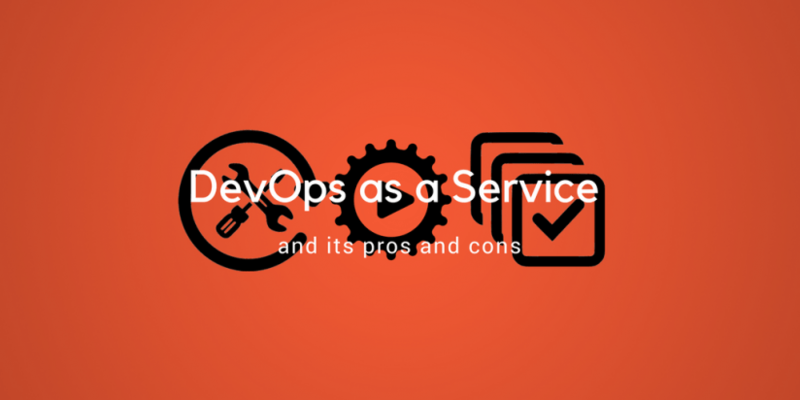 In this delivery model, the DevOps as a Service provider collects the disparate tools that cover various aspects of the overall process and connects these tools to work together as one unit. DevOps as a Service is the opposite of using the disconnected collection of discrete tools. DevOps as a service moves traditional collaboration to development and operations team to the cloud, where many of the processes can be automated using stackable virtual development tools. p.s. Check the upcoming event on cloud development! The more complex the project, the more enterprise components you need to integrate and the more software iterations and testing you need to ensure they integrate flawlessly. With DevOps as a Service, you are relocating some of those enterprise resources to the cloud. Rather than using discrete software development tools for development, DevOps as a Service collects the development tools into a single toolset that is hosted in the cloud. an orchestration layer that uses open application programming interfaces to integrate with existing tools. DevOps engineers analyze key pain points, draw a road map and recommend tools and processes to automate deployment cycles across the delivery infrastructure. DevOps engineers automate end-to-end delivery cycle and ensure that the deployments and rollbacks are performed with a click with risks reduced and productivity increased. DevOps engineers assist the core team in ensuring a full-fledged integrated functioning of the delivery pipeline automation cycle and in adapting your automated deployment cycle to changes. Cloud-based DevOps ease the collaboration – all the tools in the cloud so they can be accessed by users anywhere. Outsourcing a DevOps infrastructure requires a specific level of software development expertise, including an in-depth understanding of integration, infrastructure, and orchestrated workflow. DevOps as a Service makes testing and deployment faster. Generally, using cloud services enables increased release frequency. It gives developers more computing power and data storage as they need it. Cloning an enterprise infrastructure for test purposes is complex and can lead to unforeseen compatibility problems. If your objective is to create a production environment, you can’t use the cloud to clone something you don’t have. Using DevOps as a Service hides the complexities of data and information flow. DevOps team can focus on the specific tools without having to understand the entire toolchain. A software developer can run tests using source code management tools, and an IT operations manager can make changes using configuration management tools. The DevOps team tends to choose speed over security when developing software. Using cloud services can create unnecessary risks and exposure, especially since it’s the transport layer that is usually left unsecured. Everyone uses the same data set. This leads to better documentation and tighter quality control. Your application is completely dependent on a third-party provider. You do not have a full control of your application. That is why you have to choose the vendor wisely! DevOps as a Service can coexist with internal DevOps development and deployment processes. With DaaS, it’s easier to offload specific aspects of a project for better collaboration and faster turnaround. Take a look at other cloud platforms here. And comapre AWS vs Heroku. DevOps as a Service can make the optimal use of your in-house resources while taking advantage of the collaborative environment and fast turnaround of the cloud. The right DevOps as a Service provider can give you greater agility and access to more DevOps expertise. Moreover, DevOps as a Service can shorten time to deployment and give you greater versatility as you develop new business process applications.